As a perceptive reader of my blog has pointed out, when one posts a soup recipe it is only right to provide a tasty bread to go on the side. And I have one! 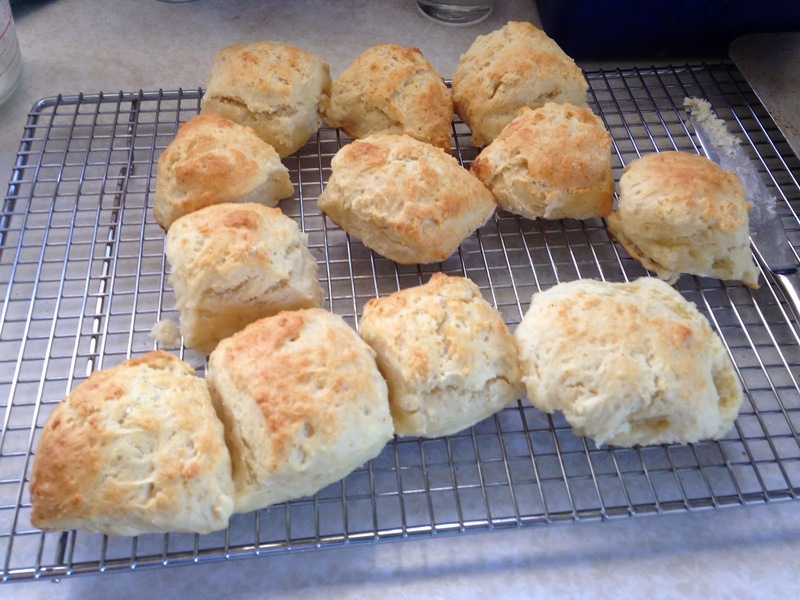 A few weeks ago I made The Easiest Scones in the World. 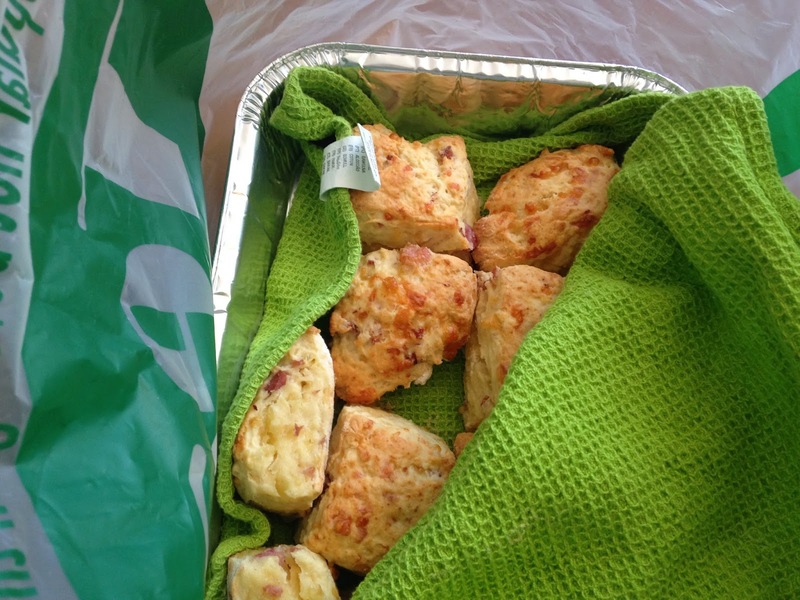 Were you ever told that it was impossible to stuff up scones? I, too, was told this myth. 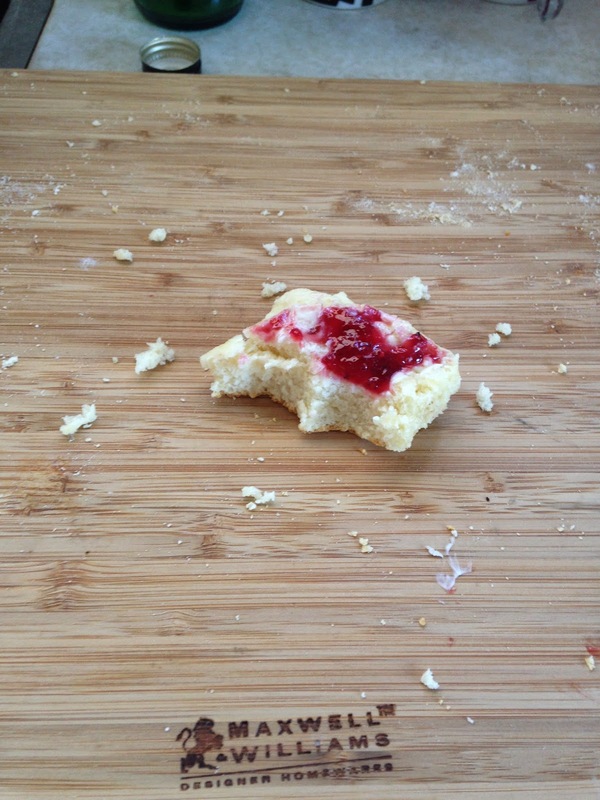 Perfect scones were an impossibility in my experience. 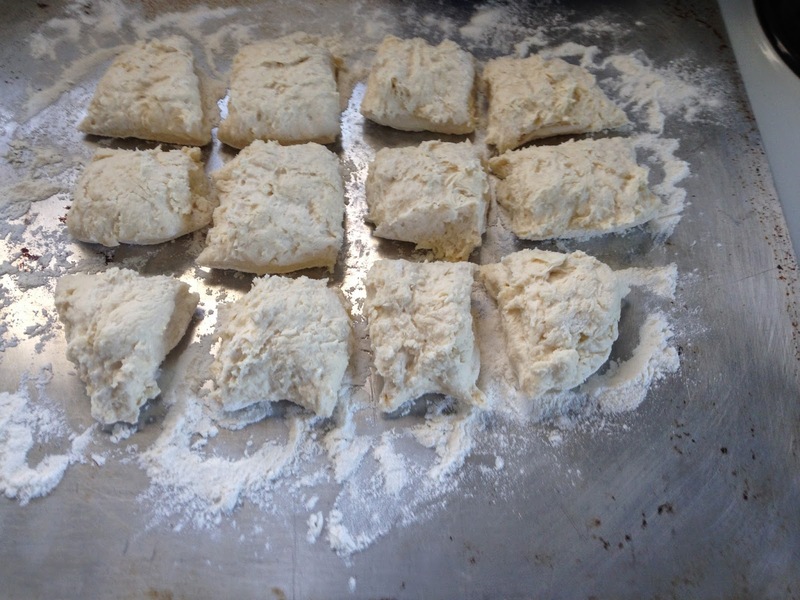 Too dry, too stodgy, too floury – I could never get them just right. Then I met Allyson Gofton’s ‘Bake’ book. 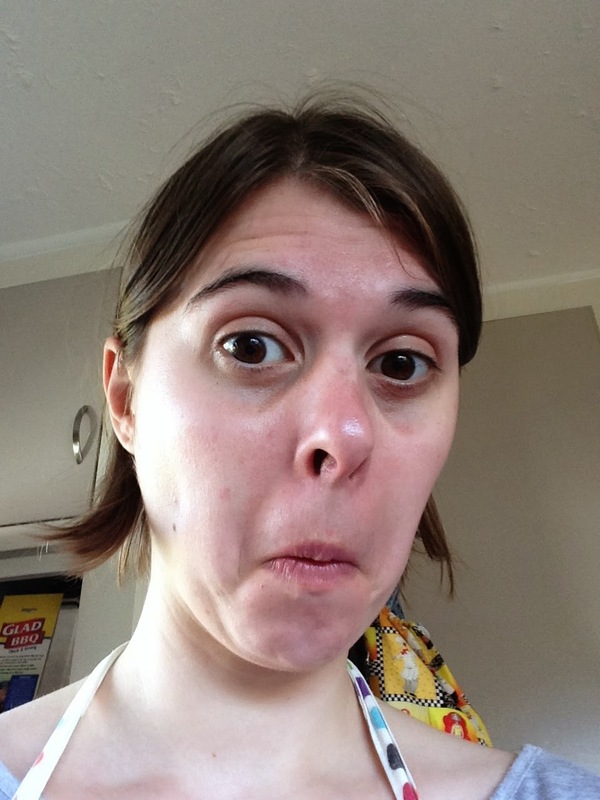 I’ve just discovered that she also publishes her recipes online here. 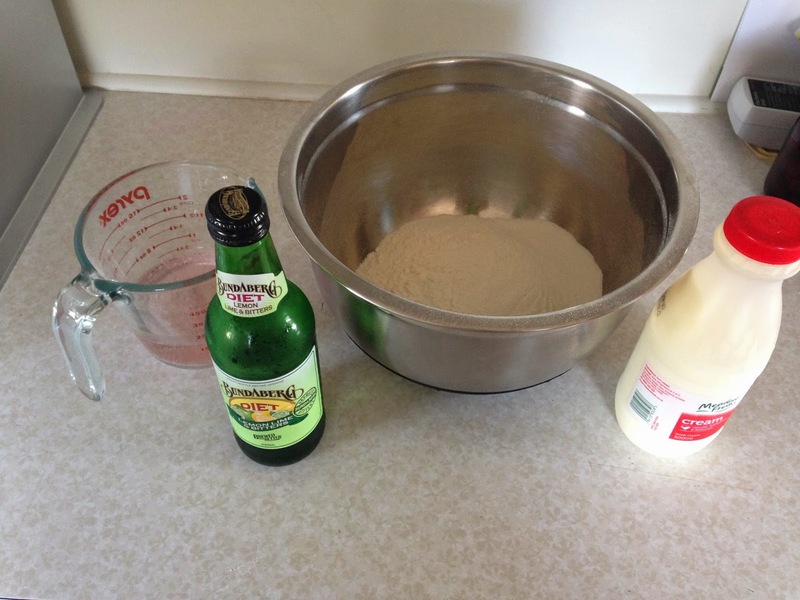 Her ‘Waiheke Lemonade Scones’ (I assume named for the Island north of Auckland, popular for day trips and weddings) contain three ingredients: cream, self-raising flour and lemonade. However, I had a bottle of Lemon Lime and Bitters (LLB) kicking around in the fridge – I bought ‘diet’ by accident, will ALWAYS check the labels now! 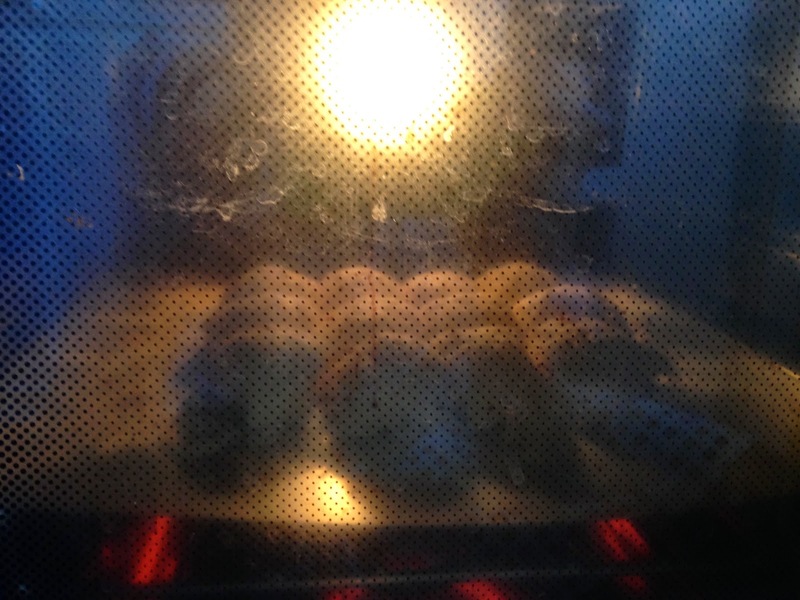 Hence LLB scones were born. You can’t taste the soft drink in the scones, and as far as I can tell it’s there to provide the liquid for binding and carbonation for rising. If the dough’s a little too moist (i.e. 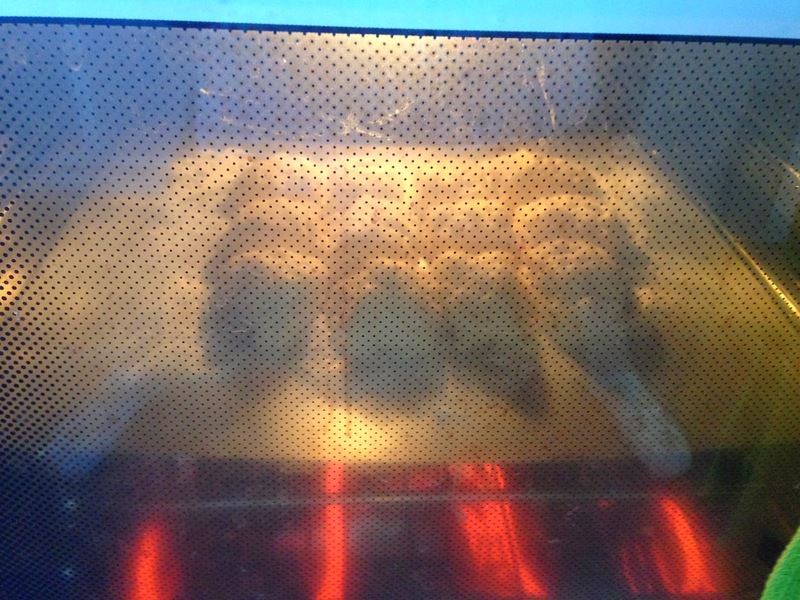 leaves batter on your fingers) then add a little flour and mix in. 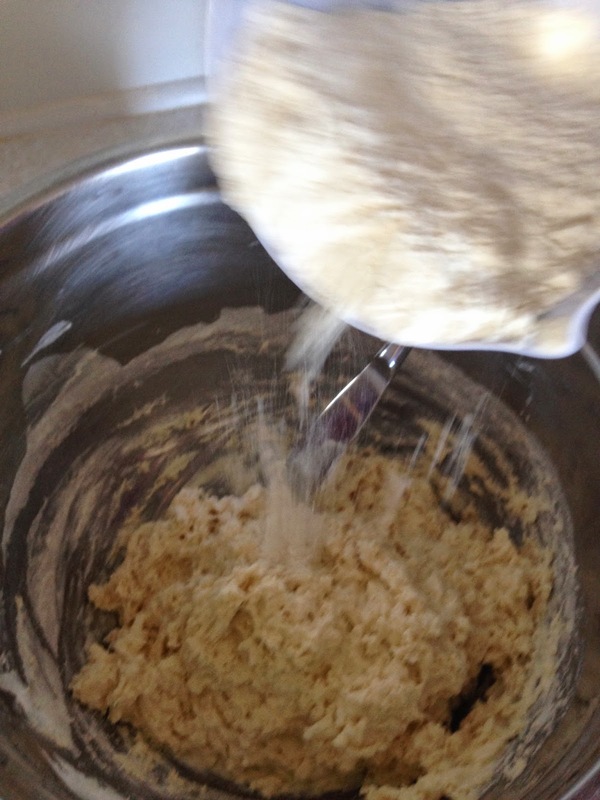 Turn out onto a lightly floured surface and knead very lightly – I prefer to knead dough while it’s still in the bowl, then spread it onto the floured tray. 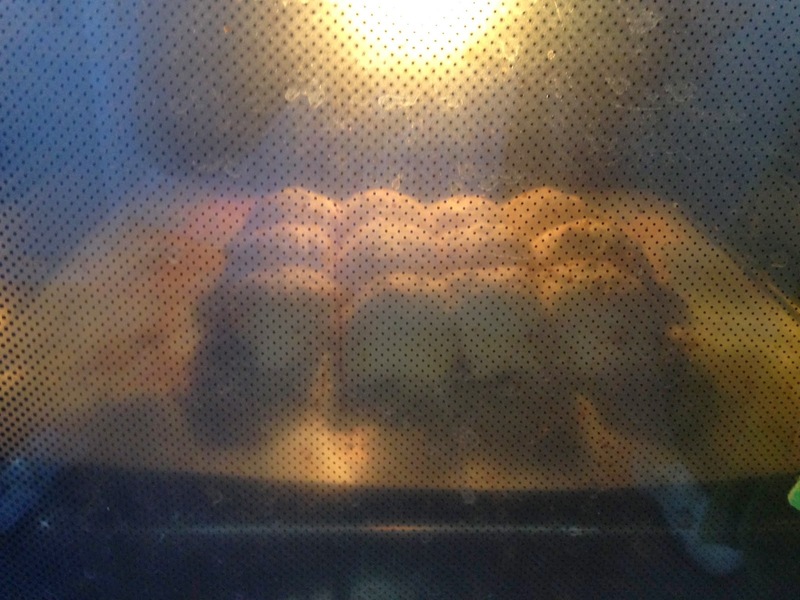 Pat into an 18-20 cm round or other preferred shape and place on the prepared tray. 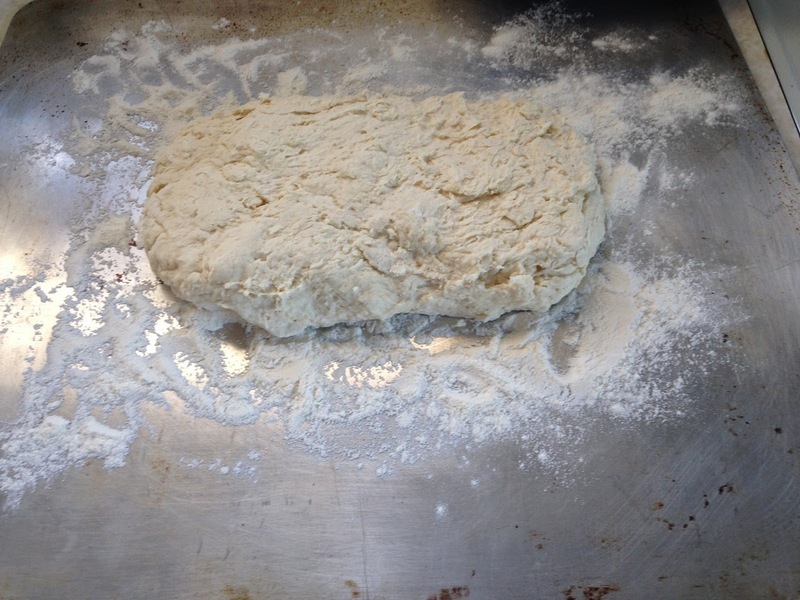 Use a sharp cook’s knife to make the scone into 8 even wedges without cutting all the way through. Or, as I prefer, shape into a rectangle and cut into approx. 12 squares spaced just apart (see image below). 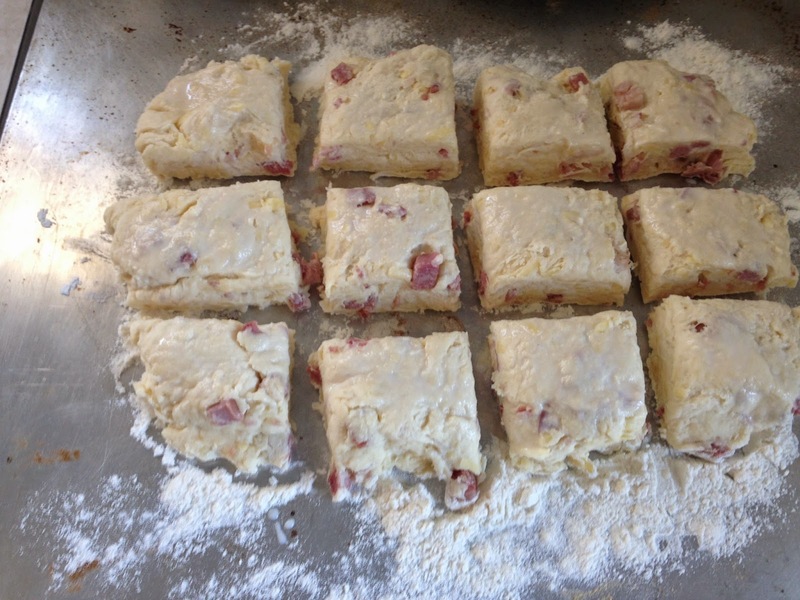 The cut squares will rise against each other, helping them to bake through – or so my Mum tells me! How’d that one get in there?! Here’s a flock of ’em, ready to eaten quick-smart. 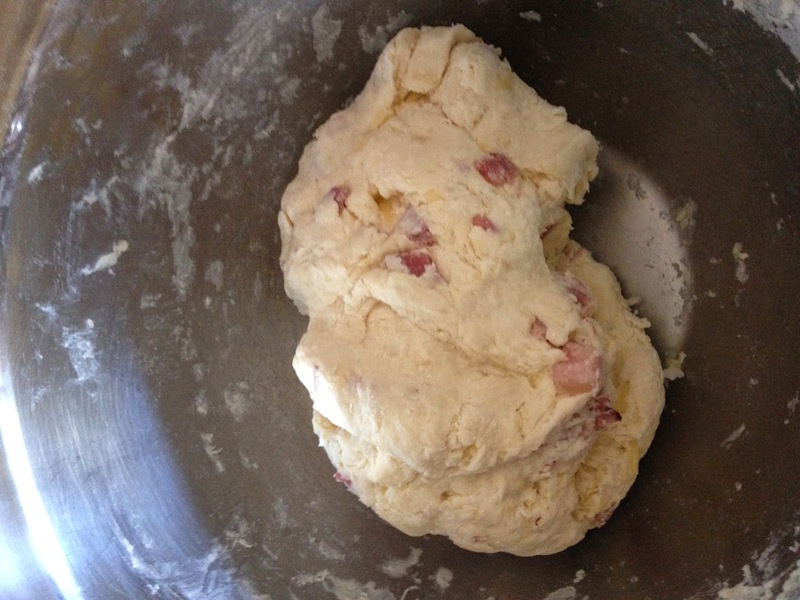 Variation: add a cup of cheese and half a cup of cooked bacon to the flour mixture. You won’t taste the LLB/lemonade at all! Mmm…savoury yums! 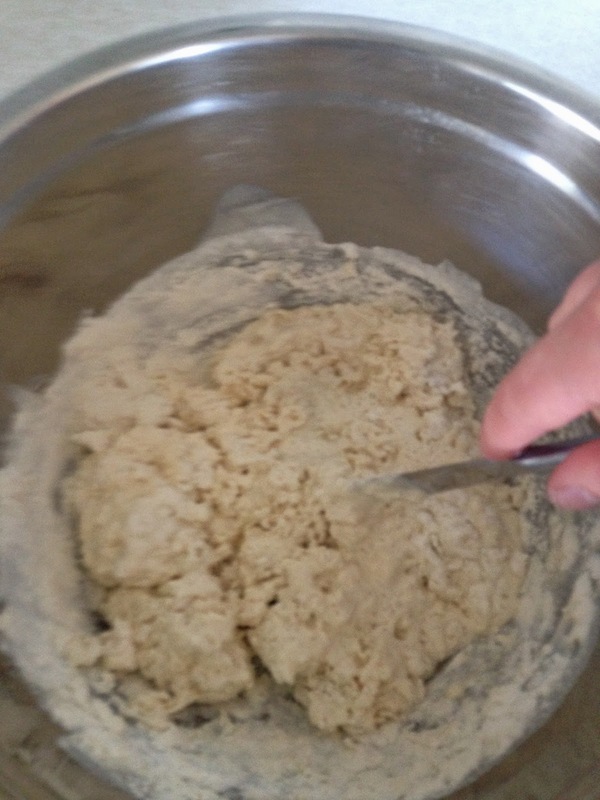 This method of cutting up scone dough is what I grew up with – I’ll never get sick of it! 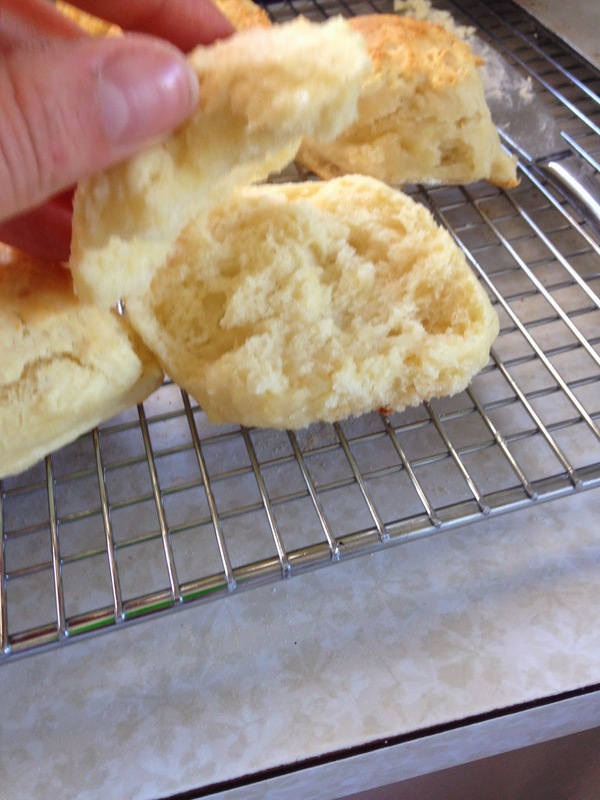 There you have it – the lightest and easiest scones you’ll ever make! Grab one before they head out the door… The plain ones are delicious with jam and cream cheese, and both varieties are best served warm.